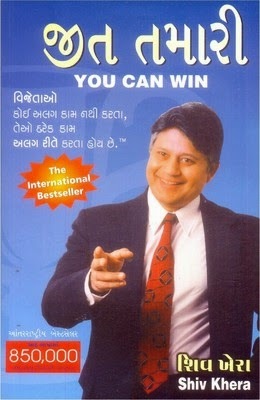 This is the Gujarati translation of the internationally bestselling self-help book, You Can Win, written by Shiv Khera. This title proclaims that winners don’t do different things, they only do things differently. It is humorous and easy to follow. Shiv Khera discusses his ideas with a practical approach and explains how ancient knowledge and modern-day thinking can strike a balance to simplify ideas and avoid everyday confusions. The author presents real-life examples of people who have succeeded in various areas of life through hard work and self-confidence. Khera also asserts that helping others is the best way to help ourselves. The book has been translated into more than 16 languages. Shiv Khera is an Indian author of self-help books. He has penned many bestsellers including Living with Honour, Freedom Is Not Free and You Can Sell. Born into a simple business family, Shiv Khera worked as a car washer, a life insurance agent, and a franchise operator before moving on to motivational speaking where he found his calling.